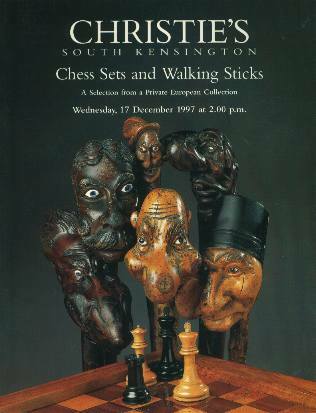 1997 Christie's Chess Sets and Walking Sticks South Kensington 12/17/97. 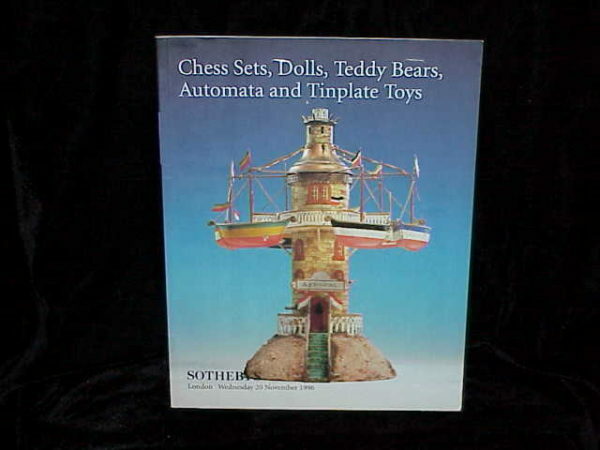 This post auction catalog consists of 301 lots, all illustrated, mostly color, with all lots described in detail. Shipping is 5.00 in U.S. Catalog is in fine condition. 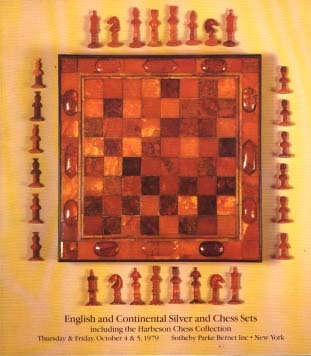 1979 Sotheby's English and Continental Silver and Chess Sets including the Harbeson Chess Collection, New York 10/4/79.